The spread of insufficiency of vitamin D may expose primary students at hazard for bone development, innate and adaptive immune responses, and increases risk of certain chronic diseases. The study provides an examination of the pervasiveness of 3 levels of sera 25(OH)D (≥30, 29-20, and <20 ng/ml) in students at the age 6 to 13 years. The data highlights that several of children in the Babylon city have levels of 25(OH)D some consider low and that urban girls have a lower record 25(OH)D. The serum is used to estimate the circulating level of vit.D by using microplate technique. Serum level 25(OH)D for children age 6 to 13 years is 28.77 ± 11.51ng/ml. Girls have suboptimal levels of 25(OH)D (25.96±9.95 ng/ml (95% CI:10.39-2.74) in comparison with the boys (32.53±12.44 [95% CI:5.75-2.29). The prevalence of levels at <10 ng/ml is 15%, less 20 ng/ml is 56%, and less 30 ng/ml is 29%. The predominance of sera '25(OH)D levels of <30 ng/ml is higher among boys (43%) in comparison with the girls (32%); urban (45%) in comparison with rural (30%). 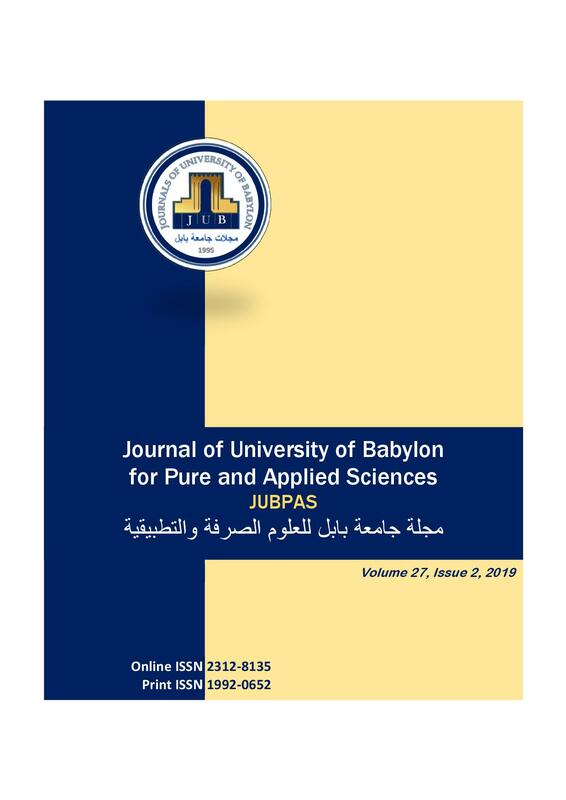 Based on a delegate test of Babylon kids of primary students, many children have inadequate levels of 25(OH)D.
N. Hasani, “Assessment of Vitamin D Level in Sera of Primary School Students in Babylon Province”, JUBPAS, vol. 27, no. 2, pp. 189 - 194, Apr. 2019.